Enough about my six-year-old and his infuriating privilege. It’s Father’s Day weekend. This is supposed to be about me! So when Pampers asked me to talk about why I’m thankful for my kids as part of their #ThanksBaby campaign, and what I like about being a dad, I obliged. Because why bother pretending? Never mind that it would make more sense for my kids to tell Pampers why they’re thankful for me. Sure, The Hammer can’t read or write or spell or speak and Detective Munch would probably say something about video games and then ask me to buy him a video game so this probably makes more sense, but still. It’s annoying! Again, this weekend was supposed to be about me. Whatever. At least they didn’t say I couldn’t be sarcastic! My Kids Never Sleep: By refusing to go to bed, waking up super early, and interrupting my sleep in the middle of the night, my kids give me the gift of extra time with them! THANK YOU. 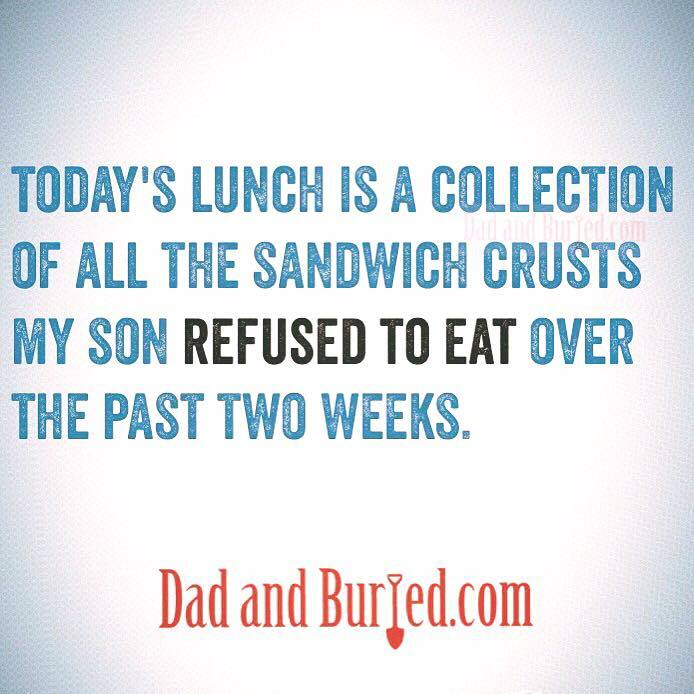 My Kids Never Eat: By refusing to eat their dinner, and their breakfast, and the crust to their sandwiches, and the second hot dog they demanded and I bought even though I knew there was no chance he would eat it, my kids give me the gift of extra food! THANKS GUYS. My Kids Drive Me Crazy: The constant aggravation and frustration and inconvenience of being a parent gives me more reason than ever to crack another beer or tip back a little bourbon. Without kids I wouldn’t have to drink anywhere near as much. THANK YOU FROM THE BOTTOM OF MY HEART. My Kids Make Me Laugh: It’s more like they force me to laugh because if I didn’t laugh I would be crying instead. SO GRATEFUL. My Kids Constantly Make Noise: Nothing makes you appreciate the beauty of silence like having children. THANK YOU SO MUCH, KIDS. My Kids Constantly Dirty Their Clothes: I knew I hated doing laundry but I didn’t realize how much I hated it until I had to fold the entire inventory of Target three times a week. I APPRECIATE YOU. My Kids Constantly Cost Me Money: Nothing reminds you that it’s the intangible things like love, family and friendship that are what’s important like not having any tangible things because you’re broke. YOU COMPLETE ME. Now that I’ve gotten the snark out of my system, here’s a heartwarming video featuring dads being cute with their kids. For obvious reasons, I am not in it.